Take This Waltz opened today in limited release. It’s only Polley’s second film as director but one that makes you hope for more, and soon. My full review is at Short Ends & Leader. Color of the Ocean and Call Me Kuchu – In these two films, African refugees struggle for a better life on a deceptively idyllic island, and activists oppose homophobia in Uganda. Reportero and Words of Witness – Two powerful films remind us of the dangers borne by those who bear witness to the cruelties and chaos of states in violent flux. 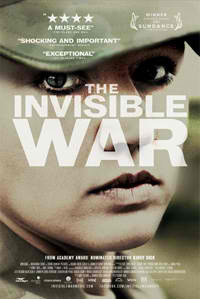 Habibi and The Invisible War – Two films focus on the oppressions men impose during wartime. Brave is playing now in 2D and 3D and many other magical formats around the country. My full review is at Film Journal International. Rock of Ages is failing to rock in theaters all across America right now. My full review is at PopMatters. The graphic memoir Jerusalem: Chronicles from the Holy City is on sale at better bookstores and online emporiums everywhere. My full review is at PopMatters. 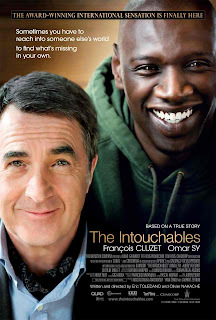 The Intouchables is playing in many cities now, expanding around the country later, likely to much acclaim. My full review is at PopMatters. 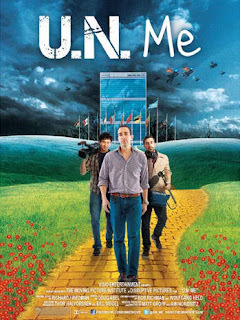 U.N. Me is playing now in way limited release. You can read my full review at Film Journal International.